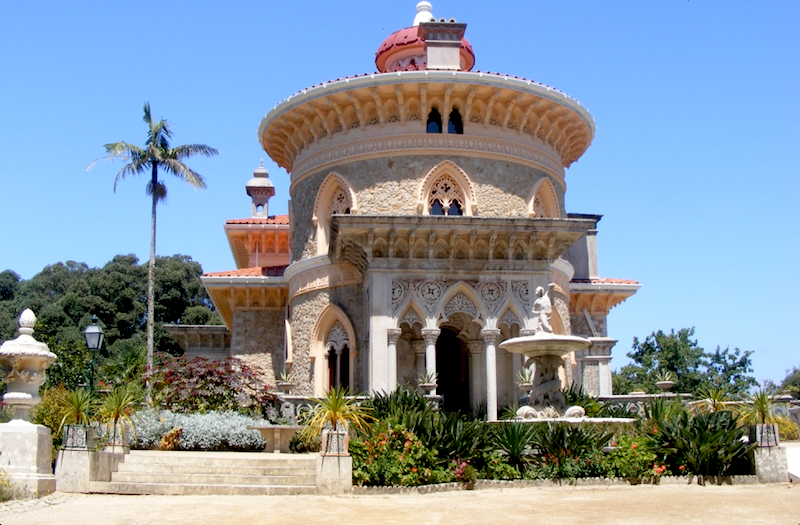 Sintra is the most popular day trip from Lisbon, just 30km / 19mi from the Portuguese capital. Take the train out to the beautiful village, a Unesco World Heritage Site since 1995. The village boasts extraordinary palaces, a Moorish castle, a semitropical garden and scenic views. 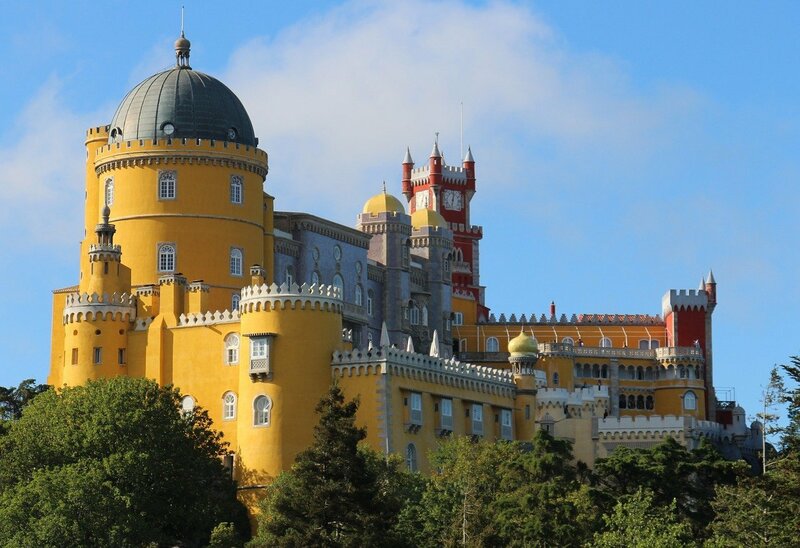 To help you plan your trip, here are six of the best attractions in Sintra. Use the map below to locate them. 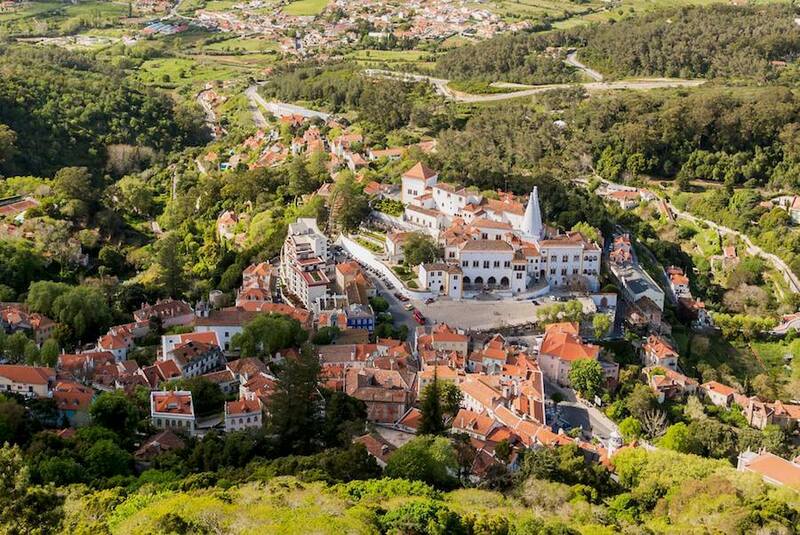 In the historic centre, the Palácio Nacional de Sintra is part of the Unesco Cultural Landscape of Sintra. 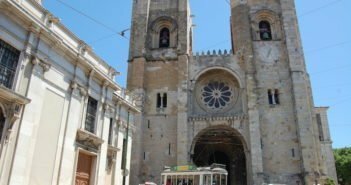 Of Moorish origins, the palace was progressively enlarged between the 13th and 16th centuries, resulting in a building that combines the Medieval, Gothic, Manueline and Romantic styles. 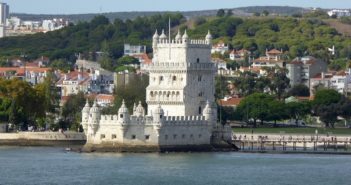 It was an important royal palace before the Proclamation of the Portuguese Republic in 1910, being the only example in Portugal that remains virtually intact since the mid-16th century. Highlights include the Sala dos Cisnes (Swans Room), the largest of the palace’s rooms with a ceiling featuring frescos of 27 gold-collared swans, the Sala das Pegas (Magpies Room) adorned with azulejos (Portuguese hand-painted tiles) where foreign ambassadors were received, the Sala dos Brasões (Coat of Arms Room) the most important heraldic room in Europe bearing the shields of 72 of the most important Portuguese noble families, the Palatine Chapel whose tiled floor and wooden ceiling are among the oldest examples of Mudejar craft in Portugal, and finally the kitchen from which come out the two distinctive chimneys, each 33 metres tall. 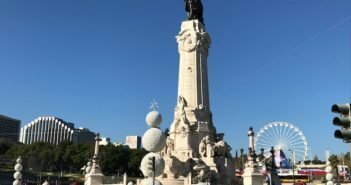 Just 1km up the road from the Castle of the Moors is Parque da Pena, filled with tropical plants and century-old trees. The palace sits on a stone peak in the middle of the wooded park. 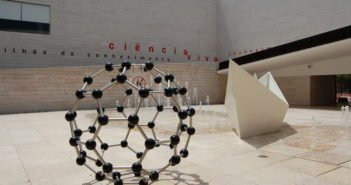 It can be seen not only from nearby Lisbon but also from the Caparica beaches, on the other side of the River Tejo. Pena Palace is Sintra’s top attraction, considered to be one of the most impressive examples of 19th century Romanticism in Europe. Its distinguishing feature is the combination of Manueline and Moorish architectural styles. The extravagant interior is equally striking, with eclectic 19th century furniture of Gothic, Neo-renaissance and Neo-baroque styles. Just 700m from the village, this Neo-Manueline estate and chapel was designed by the architect and opera-set designer Luigi Manini. 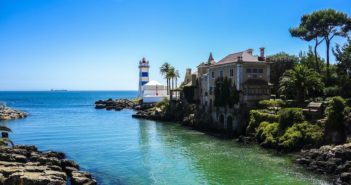 It was ordered by a millionaire who wished to create an estate reminiscent of Portugal’s glorious past. 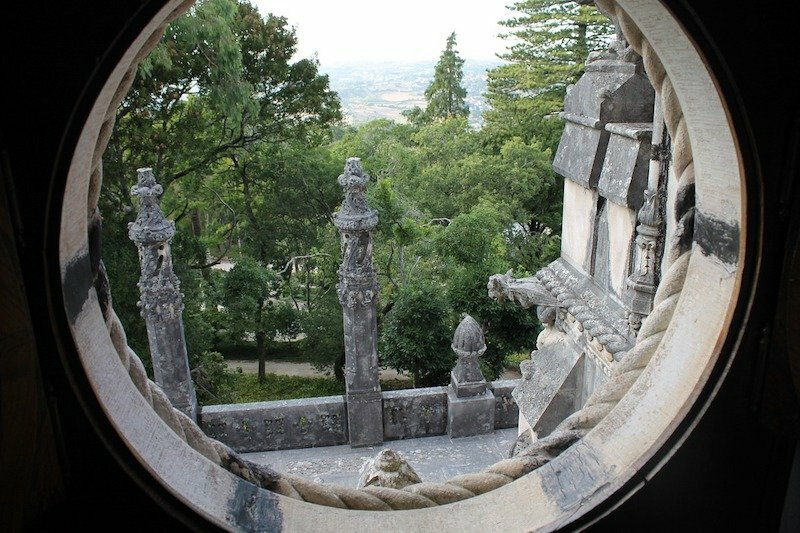 Quinta da Regaleira is a public building since 1998, owned by the village of Sintra, being one of its most popular attractions. The palace contains carved fireplaces, statues and frescos. It is surrounded by enchanting gardens. There are references to the Knights Templar, the Masons and dark alchemy, all hidden within the grounds.The well symbolises the initiation ceremony for the Knights Templar. There is a concealed passage that connects to a series of tunnels that run the length of the gardens. 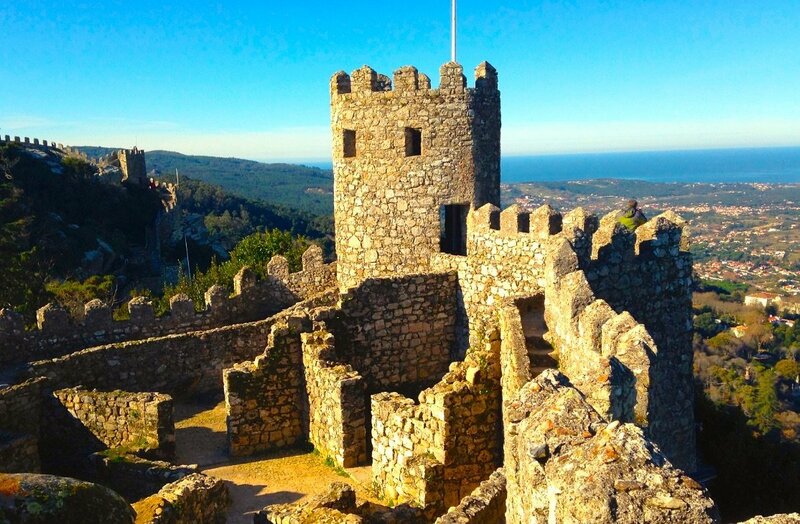 Sitting atop a cliff, some 412m above sea level, the Castle of the Moors dates back to the 10th century after the Muslims conquered the Iberian Peninsula. The castle’s ramparts stretch across the mountain. When the skies are clear, the views are breathtaking, going as far as the Atlantic Ocean. You can walk here from the village of Sintra (about 2km). 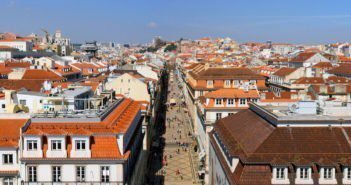 Take the off-road Rua Marechal Saldanha, instead of the main road, since it’s a quicker and quieter walk. 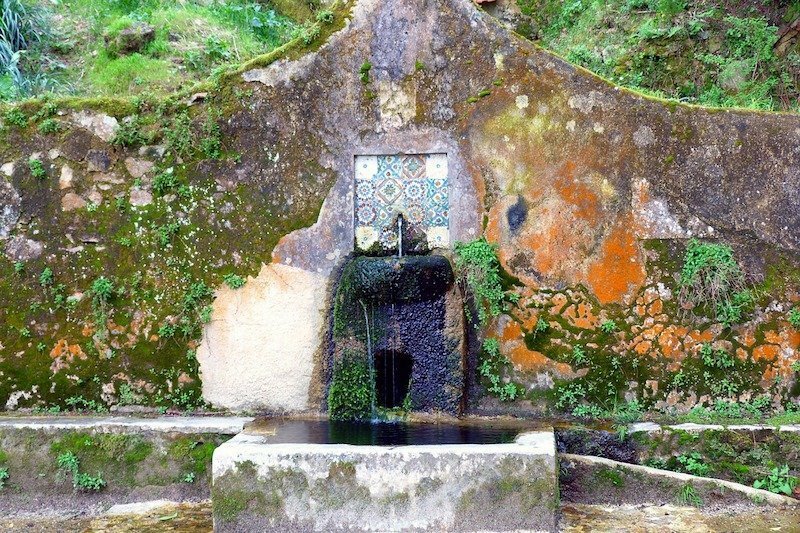 Not far from Sintra’s historic centre (3.5km west), a lush 30-hectare park of exotic trees, perfect for warm summer days, surrounds the 19th-century eclectic Palácio de Monserrate. This Moorish-inspired palace offers a striking and interesting combination of Gothic and Indian influences. Almost indistinguishable from the surrounding nature, this small and spartan convent was originally built in the 16th century to house Franciscan monks. Often nicknamed the Cork Convent, its tiny cells lined with cork for protection and decoration embody Saint Francis’ ideals. The monks lived here a simple life till 1834 when the liberal regime ordered the suppression of the religious orders. There is no bus connection to the convent. 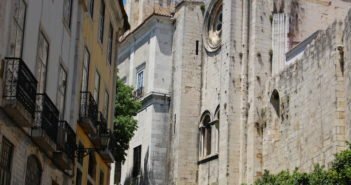 You can walk here from the village of Sintra (about 7km) or from the turn-off to the Pena Park (5km) along a wooded road; or you can arrange for a taxi (if you want them to wait, expect to pay about €25 – 30 for a return visit). 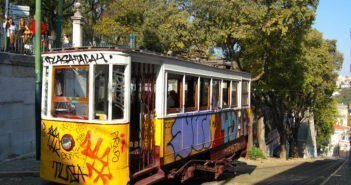 For tickets and timetables, see www.parquesdesintra.pt and www.regaleira.pt.